Since all of our mixtures are currently 30% off, I thought I would share with you my personal FIVE favorite mixtures. #1 98WO525: These chunky paper wrapped wood beads would make an awesome funky bracelet or a statement necklace for a great finishing touch to a holiday outfit. #2 CH500-B: A fun mixture of glass pendants, these can easily be strung onto one of pre-made leather necklaces for a quick and easy hand-made gift. #3 ASST SHAPES – PRESSED GLASS: Our pressed glass mixtures are sold in an assortment of different shapes colors and finishes. 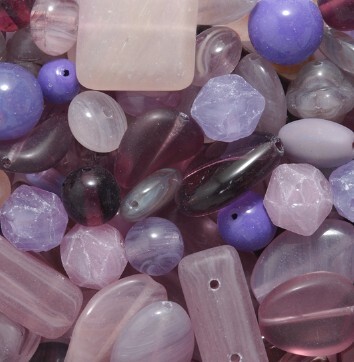 For a great price you get a fun mix of beads that are great for making earrings! #5 PRECIOSA CRYSTAL MIXTURES – Twenty different mixtures in lots of assorted colors a 4 different sizes, you can’t really go wrong. Preciosa Crystal is a great addition to nearly any beaded project. 84CC922 (pictured) is perfect for your Christmas projects. 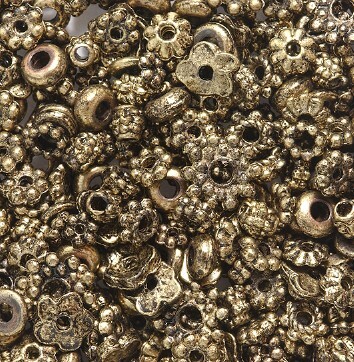 Check out our 30% off all bead mixtures going on now until November 14th!